A night spent in these places brings to mind the beautiful film, ‘A Room with a View’, based on the book by E. M. Forster. In the film, it’s the captivating view of Florence’s Arno River that greets you, whereas here, it’s the quiet and intimate atmosphere of the mediaeval towers of nearby San Gimignano. This is the experience that makes your slumber unique. 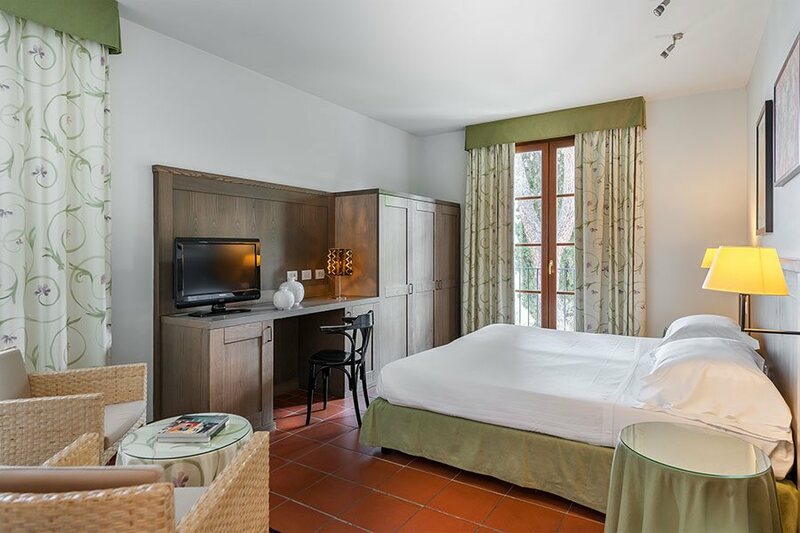 Our most spacious rooms, which are elegant and romantic, are located in the Resort’s modern wing, IL BORGO. All consist of a sleeping area with a double bed and two single beds or a sofa bed, and a bright living area. 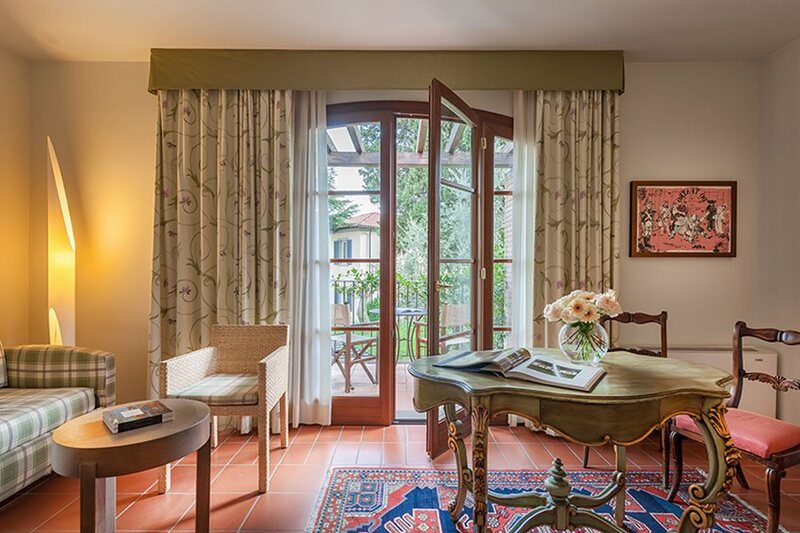 Overlooking the verdant garden, some rooms offer a magnificent view of the towers of San Gimignano. Close the door behind you; this is your little kingdom. 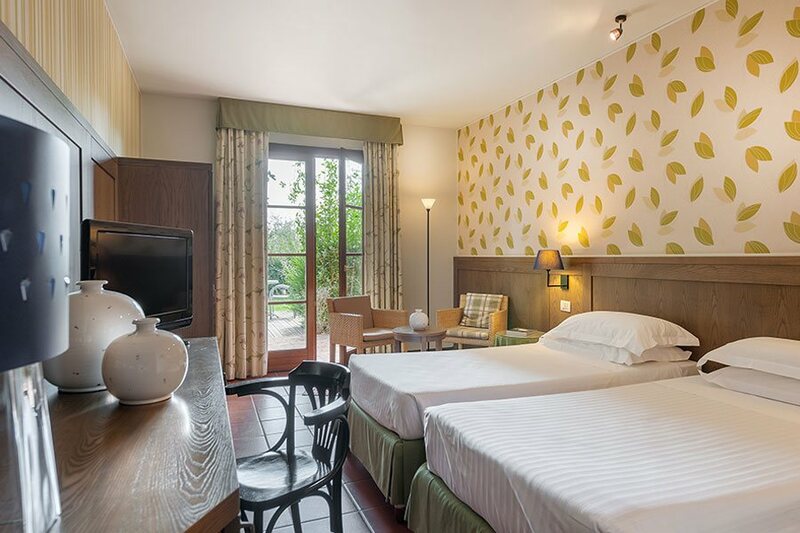 You choose the atmosphere you want to experience, in these spacious double or twin rooms, which are also ideal for two adults plus two children. On warm summer evenings, enveloped by the silence of the countryside, you can dine on the patio or terrace, accompanied only by the evocative sound of chirping crickets. Simple and essential, but tasteful, these twin or double rooms convey a particularly informal atmosphere. Some overlook the garden, others afford a view of the city of 100 towers. For when you want the most intense experiences to be had outside the confines of four walls. A unique location for you when you want time to stand still, even if only for a weekend. Two nineteenth century mansions: the VILLA, a former cloistered convent from the 1400s, and the ORCIAIA, the old warehouse where terracotta orcio pots containing olive oil produced by the family were stored. 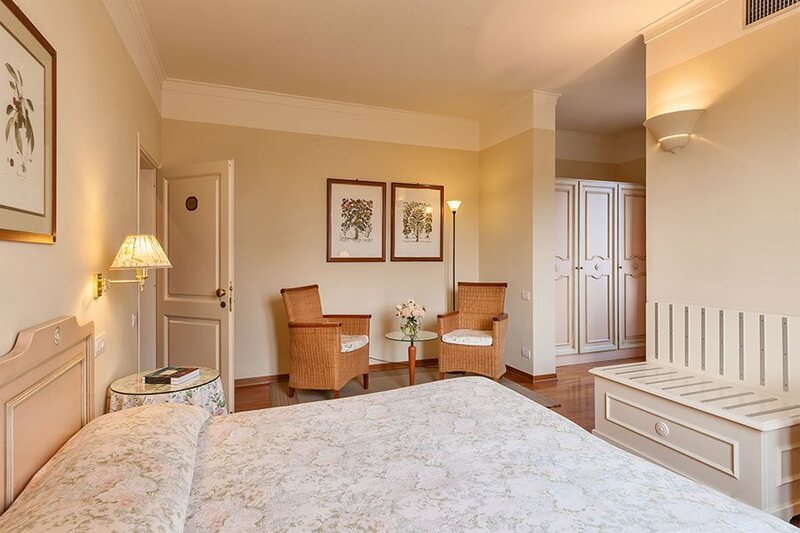 Renovated with respect for tradition, the rooms preserve the original terracotta flooring, while delicate rows of vines adorn the walls of the corridor.